Margarita Frankeberger brings a can-do attitude to work at Florida State University every day. She listens, solves problems and strives to foster a warm and welcoming atmosphere for all. Her positive approach is why Frankeberger, the program director of Academic and Student Services at FSU’s College of Criminology and Criminal Justice, has been selected to receive the 2017 Max Carraway Employee of the Year Award. “It is clear that your extraordinary administrative skill, tireless work ethic and deep institutional knowledge make you an invaluable asset to your college and the university,” President John Thrasher wrote in a letter congratulating Frankeberger on the honor. As the Carraway Award recipient, Frankeberger will receive a $1,000 stipend, a reserved parking space for one year and two tickets to sit in the President’s Box during a football game this fall. 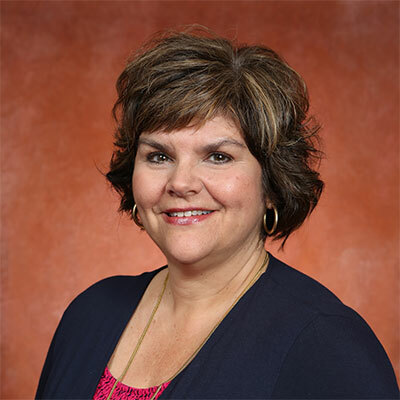 The annual award honors an employee who provides consistent service excellence to FSU customers, something Frankeberger has been determined to do on a daily basis during her 24-year career at the university. Frankeberger began her FSU career in 1994, first working at the Stavros Center for Economic Education. Fourteen years ago, she moved to the FSU’s College of Criminology and Criminal Justice where she now oversees the undergraduate and graduate advising staff. A combination of 14 faculty, staff and students wrote letters nominating Frankeberger for the Carraway Award. The faculty are grateful for her tireless efforts to make their lives easier. Staff members applauded Frankeberger for her role as “matriarch” of the college’s work family. “She has solely created an atmosphere where differences can be celebrated and where we are each not only trusted, but thoughtfully encouraged to grow in our positions,” wrote Katie Dean Moore, who works as the college’s internship director and reports to Frankeberger. Several students said they appreciated Frankeberger’s passion, heart and professionalism, including doctoral student Katherine Ray. “She has made me feel welcomed, supported, motivated and has always gone above and beyond any professional duties required of her to help not only myself, but other students, faculty and staff,” Ray wrote. Frankeberger enjoys working with students, faculty and staff in the college environment.